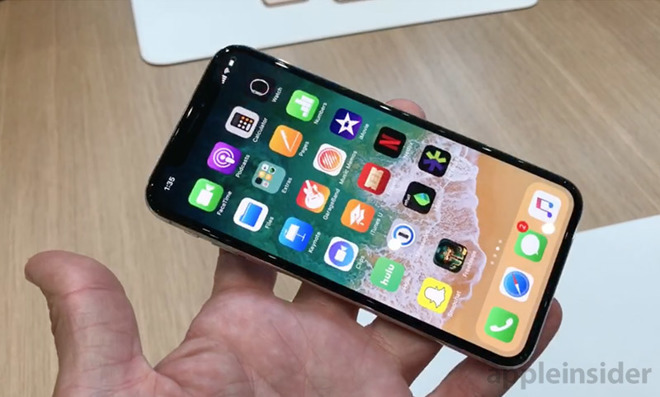 Samsung may soon face increased competition from its display production rivals, with a report claiming LG Display and other manufacturers are stepping up their OLED panel efforts to try and secure future orders from Apple to supply screen components for future iPhones. The chief challenger to Samsung's position as Apple's sole OLED panel supplier for iPhones is LG Display, sources from Taiwan's Photonic Industry and Technology Development Association (PIDA) told Digitimes. Of the companies capable of supplying in sufficient enough quantities, PIDA suggests LG Display has high potential to become Apple's second OLED panel provider in 2018. While LG Display is tipped as the closest rival to Samsung, it may be some time before it actually has an impact. Reports in September claimed LG is aiming for full OLED production capacity in 2019, with small batches potentially available by the end of 2018. The Foxconn-owned Sharp is thought to be the next likely candidate to join the OLED production roster, ahead of Japan Display. The sources cited Japan-based media reports to suggest Sharp could become an OLED supplier to Apple as early as the second quarter of 2018. Sharp is also thought to take advantage of its iPhone-aimed OLED investments in another direction, with claims it is also planning to mount flexible OLED panels to premium smartphones expected to ship this year. There are already a large number of smaller suppliers offering OLED panels in sizes suitable for iPhone production, with a total of 13 fabrication facilities able to produce the small- to medium-sized panels required. According to sources, the combined production capacity of these 13 facilities can reach 350,000 substrates per month, if all are in operation at the same time. Last November, major Chinese display producer BOE was claimed to be in an attempt to win orders from Apple, reportedly investing $7.04 billion into its facilities to produce flexible and foldable OLED panels. It is unclear if its investments were made by request from Apple or if BOE is working under its own initiative. There have been concerns that Apple's need for OLED in future iPhones is squeezing the global supply, forcing competitors into looking at alternative technologies like mini LED for their flagship devices. The report sources suggest this may be a short-term problem, as the overall OLED panel production capacity from firms in South Korea, Japan, and China will definitely far surpass demand in coming years, potentially leading to an oversupply of panels.